This handcrafted Silver White Opal Ring is lavished around with high-grade CZ stones making it look stunning. 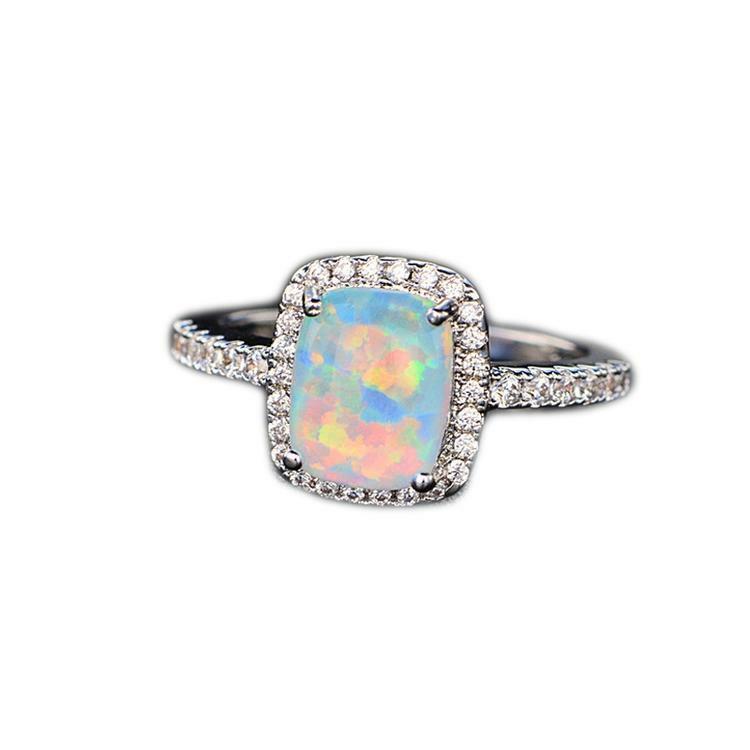 Sure you can't get your eyes off of this beautiful Opal ring. A good find for ladies who love Opal or queens born in October. Exclusively available here at The Needed Necklace!